I’ve been warning for months that NOAA was going to claim that 2012 was the hottest year ever, regardless of the actual temperatures. They did it today. The year 2012 was the warmest on record for the contiguous United States, beating the previous record by a full degree in temperature, a government climate agency said on Tuesday. Scientists at the National Oceanic and Atmospheric Administration said the average temperature in 2012 in the contiguous United States was 55.3 degrees Fahrenheit (12.94 degrees Celsius), 3.2 degrees above the average recorded during the 20th century and 1.0 degree above 1998, until now the hottest on record. I will do a more complete analysis later, but for now I want you to focus on the bold sentence above, which claims that 1998 used to be the hottest year in the US. In an article which NASA published in 1999, Hansen showed that 1998 was only the fifth warmest year, after 1934, 1921, 1931 and 1953. 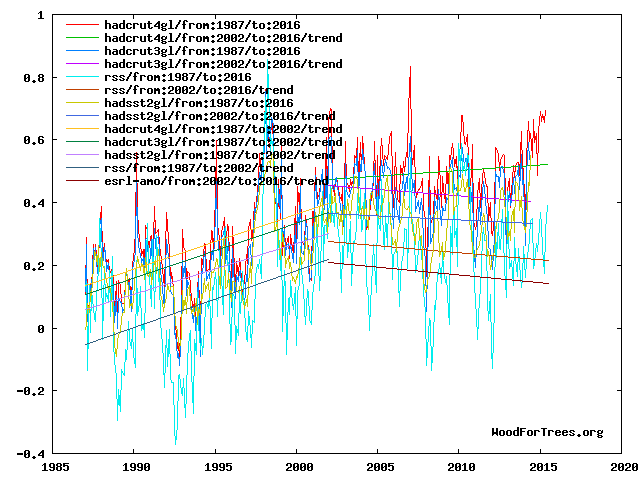 In fact, 1998 was 0.6C cooler than 1934. 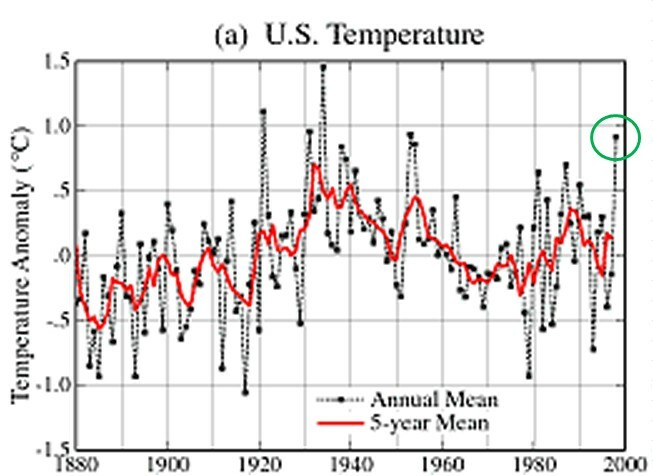 Over the past decade, NASA and NOAA have continuously altered the temperature record to cool the past and warm the present. Their claims are straight out of Orwell’s 1984, and have nothing to do with science. US NCDC – National Climate Data Center Spikes Recent Temperature Data from 1949 Upwards 4 Degrees Artificially to Make Claims of Global Warming. It’s all being done “for our own good”. We must believe in using less fossil fuels. We must believe in giving more Billions to the UN for more studies even though that “Science is Settled”. We must be accept higher costs for food and energy so we will consume less and produce less waste. What about those who literally die because they can’t afford it? What about the hypocrisy of saying “Trust Us? There are Respected Scientists watching and saying LOOK AT THE FACTS, do the warnings follow the facts? 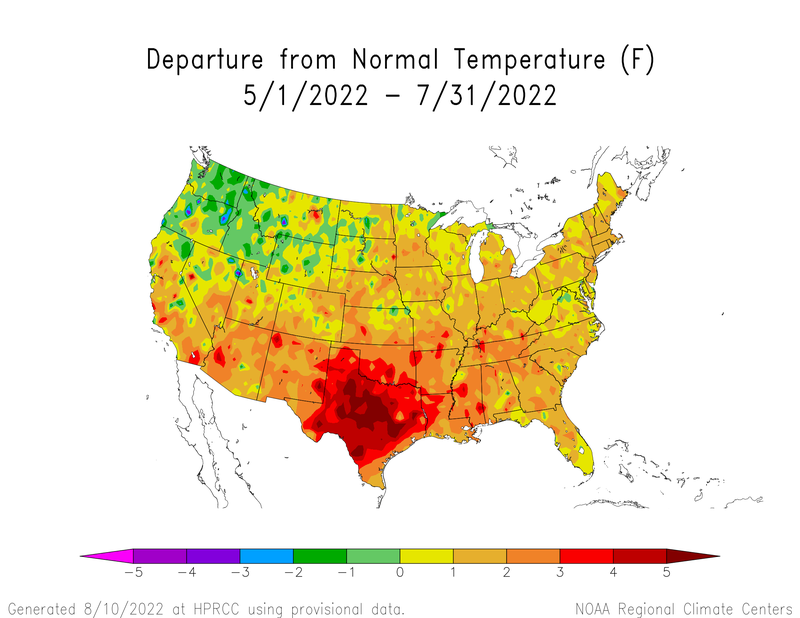 Despite record cold and Great Lakes ice, NCDC thinks they can get away altering the US temperature record to make the past winter just below average temperature. 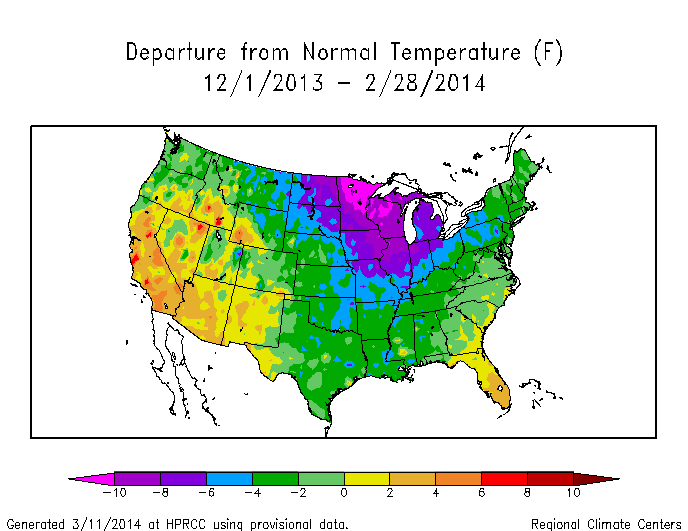 74% of the US was below normal temperature this winter, much of it 10 degrees below normal. It was actually the ninth coldest winter on record, and the coldest in 35 years. 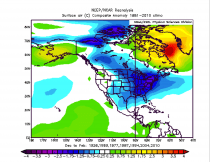 NCDC bumped the winter up to 34th warmest, through an amazing 4 degrees of tampering relative to 1949. These adjustments are about 5 times larger than what they show in USHCN documents. Is the Ozone Hole the EPA is Worried About Controlled by Humans, or Naturally by the Sun? Consider the Facts.